SO, YOU WANT TO CREATE 10 MILLION JOBS? Pakistan’s political and economic futures will depend, in large part, on whether we can provide decent jobs. 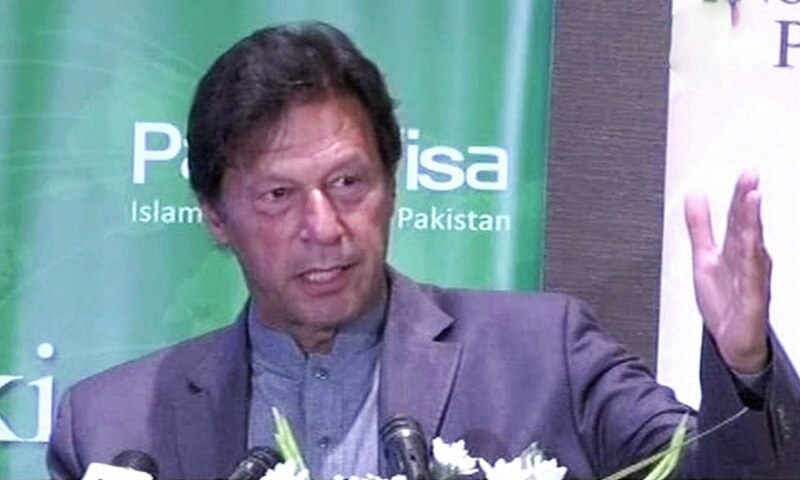 The much-trumpeted pre-election promise of the Pakistan Tehreek-i-Insaf (PTI) government was to create 10 million jobs in its five-year term. This is not an unreasonable target. For example, my analysis in the Pakistan National Human Development Report, released by the United Nations Development Programme (UNDP) last year, places the minimal requirement at around 1.5 million new jobs per year, primarily spurred by the demographic momentum of our youth bulge. It is also not an impossible target. 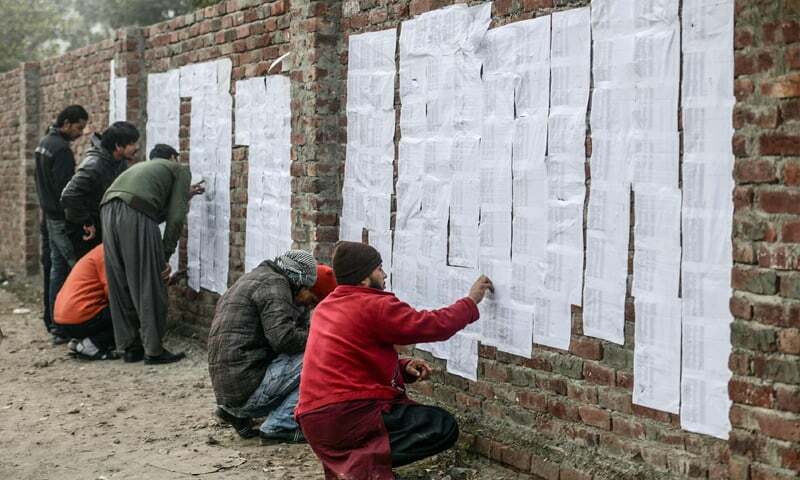 After all, the raw data of recent Labour Force Surveys (LFS) suggests that about one million people are added each year to the ranks of those classified as ‘employed’ by the Pakistan Bureau of Statistics (PBS). Employment in Pakistan, however, is a hot-button political and social issue not only because there are too many without jobs (official unemployment rates in Pakistan have been historically kept at single digit levels), but even more so because too many of those who have jobs believe they are not reasonably paid, fully employed, or decently treated. The malaise of being trapped in jobs without gain, employment without growth, and work without dignity creates its own toxic vortex of economic dissatisfaction, social disaffection and political discontent — particularly amongst the young. This is not a pleasant mix. The question, then, is not simply whether we can create enough new jobs, quickly enough. It is, more fundamentally, whether enough of the new jobs ­­— as well as existing ones — can be made to be good jobs. This is not going to be easy to do. But it is doable. There are a number of important lessons about the generation of work that we can learn from the experience of Pakistan, and the world. This essay seeks to summarise some of these lessons about what government and policy can do to create a national ecosystem that is conducive to the large-scale and consistent creation of quality employment. Here are five ideas that might help. 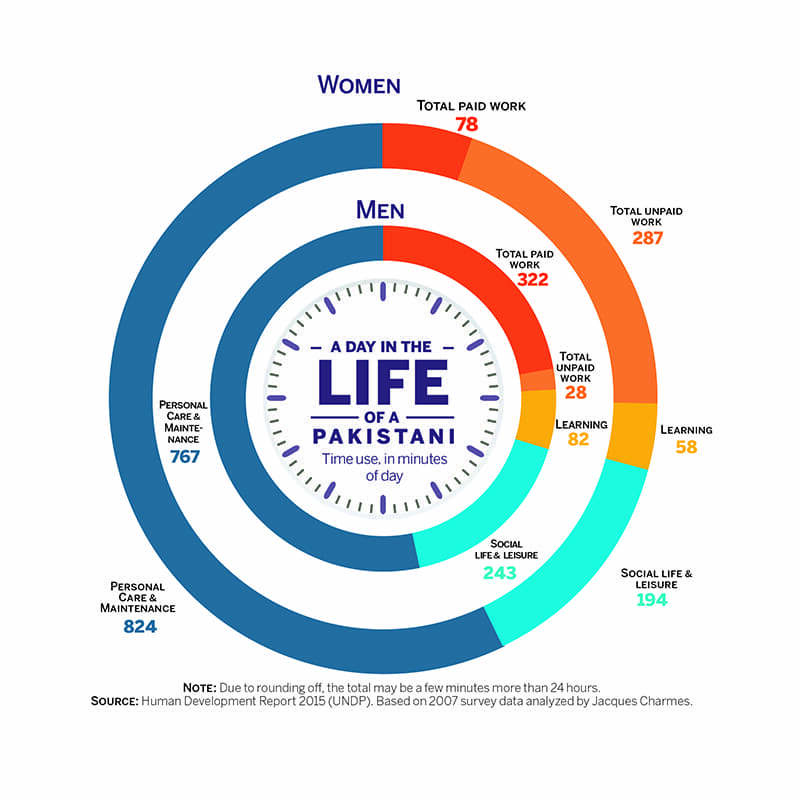 The striking thing about the results of this time use study is that, on average, women in Pakistan spend more time in productive work (365 minutes per day) than men (350 minutes per day) do. The difference is that most of women’s work is unpaid (287 minutes per day), while men perform very little unpaid work at home (28 minutes per day). The data is relatively old, from a 2007 survey, but there is little evidence that this essential truth has changed much in the last decade. Governments, all over the world, are often major employers. That is how it should be. But looking towards government to directly provide new jobs at the speed and scale required is a recipe for disaster by bloat. It is a disaster Pakistan is very familiar with. Most governments are not very good at dishing out jobs, and Pakistan has been particularly bad. The image that comes to mind is that of Pakistan International Airlines (PIA), of Pakistan Railways, of Pakistan Steel Mills; of political influence controlling placements of schoolteachers or municipal workers. These, very often, are images of excess, nepotism and corruption; of overstaffing and underperformance. Of course, not all government staffing follows this pattern; but enough do for the image and expectation to have become tainted. The political culture of government jobs as handouts has not served anyone’s interest. National development gets stalled. Employee disaffection mounts. The government, as an employer, should set standards for other to follow, including in enforcing its own policies of worker quality, rights and safety. But simply producing jobs for political gain is no better than printing money for similar purpose. There are times when money has to be printed, and there are also times when jobs have to be injected into an economy. But such times should be few, and carefully thought through. Where government jobs do need to be created, they should be created for reasons of need and efficiency, not for expediency. A good example of such an area should have been education. By even the most conservative estimates, Pakistan needs to double the number of schoolteachers. This would clearly produce an employment windfall, but only if qualified teachers could be found and incentivised through a merit-based process. On that, our track record remains woefully dismal. While it is not a government’s job to dish out jobs, it is the government’s job to create work. More precisely, to create the enabling policy conditions in which work, and good jobs, can be created. There are, in fact, good examples of the gover­nment enabling large-scale new employment through policy innovation. For example, the opening up of the telecommunication sector (particularly mobile phones) created an immediate and large influx of new, good jobs. So did the policies that enabled the mushrooming of the private electronic media. This can also happen in a number of other areas. Tourism, as a service sector motor, is mentioned often. Housing would be another area that could trigger large-scale job creation. Infrastructure development has been used around the world, often and with success, as a stimulus investment. The most exciting, in many ways, would be grabbing the energy transition by its horns. The International Renewable Energy Agency (IRENA) estimates that over 10 million renewable energy jobs have already been created worldwide, and the coming transition to cleaner energy is poised to reduce the cost of production, while doubling the number of jobs in the energy sector. But simply throwing out these ideas is not enough. They have to be carried out with the employment imperative very much in the forefront. The problem is that policy tends to view employment as a somewhat incidental outcome of economic policy, rather than as a central preoccupation. Those who influence policy decisions — politicians, bureaucrats, economic experts, journalists — tend to be obsessed with growth and investment. The currency of their narratives is dollars, not jobs. 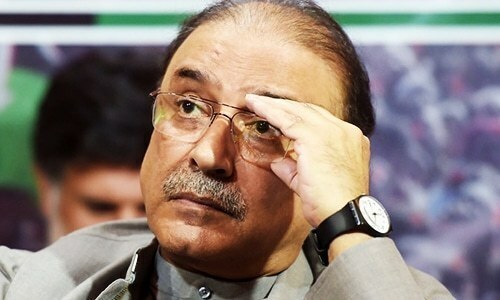 Consider, for example, that just about anyone in Pakistan will be able to tell you how many billions of dollars’ worth of investment will come to Pakistan with the China Pakistan Economic Corridor (CPEC), or how many billions of rupees is spent on the Lahore Metro Bus project. But try to find anywhere in the public discourse, or even government documents, a clear calculation of how many jobs are to be created by the one or the other and you will hit a wall. I did try. I did hit a wall. Of course, the assumption that growth will propel employment is not unreasonable. But it is incomplete. More than that, it diverts attention — and, often, action — away from a policy goal that is as important and often more immediate, to many citizens: employment. Employment data — labour statistics, as they are called in Pakistan — are notoriously difficult to get hold of, and notoriously unreliable when you do get hold of them. In particular, reasoned counts of new jobs created — a staple in most countries — are not easy to come by. This will have to change before the narratives of policy and politics around employment can change. In many countries, and not just the most economically advanced economies, employment data are at the heart of the political discourse. Politicians will incessantly highlight how many jobs they created in their city, region or nationally, or how many they intend to create if elected. The bragging right belongs to those who can claim to have brought jobs to their constituents. Employment numbers are often at the centre of election campaigns. This makes for good politics, but also for good economic policy. Such a discourse, however, requires reasonable numbers to argue over. 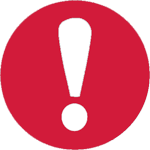 In many countries, they are available not only nationally, but for regions and cities, and often at monthly, if not quarterly intervals. This is not so in Pakistan. Some practical measures could include: (a) ensuring that major project documents, for example, for and from the Planning Commission, make employment targets public; (b) requiring federal and provincial budget speeches to calculate employment impacts of proposals; or (c) changing the frequency and content of data collection by the Pakistan Bureau of Statistics. Archaic and boring as this may sound, I believe that simply collecting and making such data accessible can unleash a more positive public and political discourse on employment. Jobs will count more, I am convinced, once we start counting jobs better. Even though we have talked mostly in the language of jobs and employment, it is work that we are most concerned about. Work enables people to earn a livelihood and be economically secure, but it is more: It is a source of dignity, of purpose, even identity. Consider the question: “What do you do?” It is amongst the most common questions we ask of someone we do not know. And it becomes a most fundamental element of how we get to know them. Work, whether it comes with formal employment or not, is meaningful when it allows people to fully participate in and be recognised for their contribution to society. Society is healthy when each citizen is afforded the right and ability to find work that is meaningful and provides them with a sense of dignity and worth. Such a conceptualisation has at least two immediate implications for Pakistan. First, employment should be made good employment. On the one hand, this is a question of the working conditions and worker rights. The challenge is of implementation, not policy. Laws can be improved, but a first step has to be to enforce the ones already on the books, including the many international treaties that Pakistan has ratified. On the other, there is the systemic challenge of ‘casualisation’ of work in Pakistan. Casual work is typically exploitative, low-paid, with poor working conditions, no social security cover and little job security. Less than half of those who are classified as ‘employed’ have full time jobs with any semblance of benefits or rights. The remainder include piece-workers, daily-wage workers, self-employed and family workers. Second, there is the imperative to include those whose work is not counted and those who face structural barriers to work. Women are of particular importance in both these categories. According to work time surveys, the total amount of time spent on work by women (365 minutes a day) is more than that spent by men (350 minutes a day). However, the majority of women’s work in Pakistan is unpaid (287 minutes or about 78 percent). It should not be a surprise that nearly half of Pakistani men, but only one in seven of Pakistani women, are counted as employed. Women have many structural hurdles to surmount — from lack of simple amenities such as working and safe toilets to facing much higher costs of transportation to work. The net result is that it is far more ‘expensive’ for women to work than for men. This is compounded by the steep inequity in wages for women and men in all sectors. 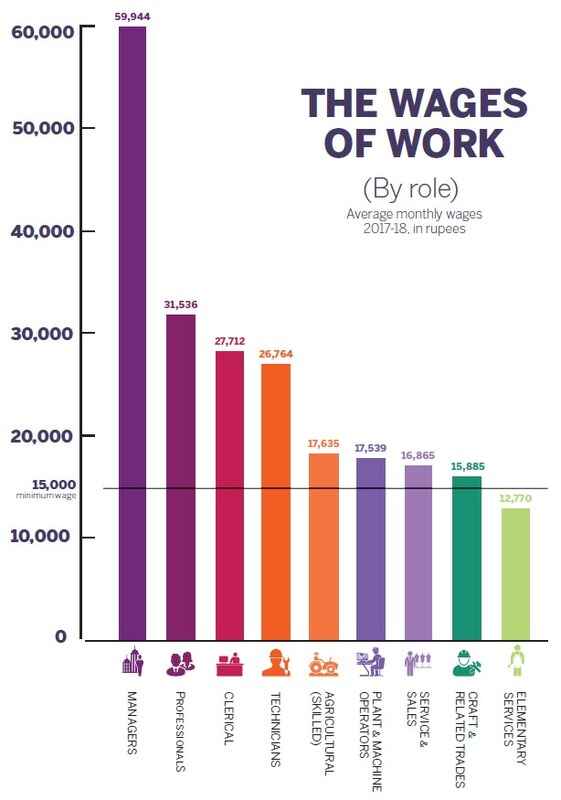 According to the 2017-18 Labour Force Survey, the average monthly wage across all sectors is 18,754 rupees per month. For men, this is 19,943 rupees per month; for women only 11,884 rupees. The inequity persists in every sector and every role. For example, men as managers earn an average of 57,522 rupees per month, women earn 50,009 rupees. At the other end of the scale, in the most elementary services category (e.g., household help), men make an average of 14,206 rupees per month, women only 6,587 rupees. We need to confront the fact that women are absent from the formal workforce not because they do not wish to work, but because we have made it structurally difficult — and more expensive — for them to work. The cost of this choice is borne not just by women but by the well-being of society, from the household to the national levels. According to the Labour Force Surveys of the Pakistan Bureau of Statistics, Pakistan has been adding about one million people each year to its roster of the ‘employed.’ But, please hold your applause. These are far from ‘good’ jobs. More than half (53.27 percent) of all who are classified as employed earn less than 15,000 rupees per month – the legal minimum wage in Pakistan. The average earning of the employed Pakistan is not much more than minimum wage, at 18,754 rupees per month, and the average monthly earning for all employed women (11,884 rupees) is well below minimum wage. Whether underemployed or underpaid, the average monthly earning of Pakistanis working as shopkeepers, or motor mechanics, or household employees, or in agriculture are all below the 15,000 rupees minimum wage threshold. For women working as domestic help, the average income per month is just 6,098 rupees. The data screams out that for too many employed Pakistanis, jobs have little meaning, work is devoid of dignity, and employment is far from gainful. The only thing as important as investing in quality work is to invest in quality workers. Unfortunately, the emphasis in both cases has been on quantity. This is particularly stark — and tragic — in the realm of education and training. Especially in terms of higher education and vocational training, the single-minded focus has been on expansion — creating more institutes, enrolling more students. Quality has been the casualty and battalions of the educated unemployables is the result. The unacknowledged truth is that too many of those who hold educational ‘qualifications’ may just not be qualified for the jobs they seek. In most countries of the world, those with higher educational attainment have a lower rate of unemployment. In Pakistan, this number stands on its head. Unemployment is lowest amongst the least skilled and least educated (around five percent), and is highest amongst the most educated (around 20 percent). Even if there is some merit in the conventional wisdom that there are not enough jobs for the most educated, or that the most educated become too selective in their job preferences, conversations with employers routinely bring out the lament that quality candidates amongst the supposedly qualified are hard to come by. The most important failure has been of our educational system. The problem is most illustrative at universities, but it is systemic at all levels. Universities receive too many students unprepared for higher education, and already burdened by a chronic shortage of quality faculty, spew out graduates unfit for the workplace. A cycle of mediocrity would have been bad enough, but ours is a vicious downward spiral where the bad only leads to the worse. Without concertedly reasserting quality into the education system — from the primary onwards, and certainly at the higher education level — the entire human resource stream will remain poisoned. A Pakistan that produces half the university graduates at twice the current quality, is much more ready to face the nation’s employment challenges than one that throws out twice the number of graduate at the same quality as now. Preparing a new generation for the employment markets of the future is not about changing what they study, it is about a single-minded emphasis on how they are taught. The two silver bullets that are often mentioned in the context of education and training are (a) vocational training and (b) entrepreneurship. Both, of course, are vital. Neither is a silver bullet, nor easy to invest in. The vocational system has been motivated by the whims of donors and planners, rather than the needs of employers; and the conversation around entrepreneurship has been so invested on the flashy high-end of information technology that it has mostly missed out on local market needs. The logic of enterprise remains robust: invest in people who will invest in jobs. However, the entrepreneur to be celebrated is not just the one that breaks into international markets, it is the one who expands local markets. In vocational training, as in entrepreneurship development, the key challenge to overcome is of relevance. First, erase all thought that the government would, or should, be in the business of continuously dishing out large number of government jobs. Second, make employment a central pillar of economic policy; as important, if not more, as growth itself. Third, count jobs better so that purposeful political and policy narrative can be built around job provision, particularly for the young. Fourth, invest policy in improving the quality of the workplace, in ensuring the rights of workers, and in removing the structural barriers to work, most importantly for women. Finally, be relentless in investing in the quality of the worker. Once quality is compromised, all else stands corrupted. Dr Adil Najam is the founding Dean of the Pardee School of Global Affairs at Boston University and was the former Vice Chancellor of the Lahore University of Management Sciences. He was the Lead Author of the Pakistan National Human Development Report (NHDR) produced by UNDP-Pakistan. So you want to create 10 million jobs when 100 million jobs will be needed. Really good article. As the author states, the data seems to point towards a problem at the very foundation - the quality of our education. Too many schoolchildren are being zombified by "rote" learning, and are then thrown into a world for which they're woefully unprepared. If the government wants to stand a chance of energising the employment sector, it needs to focus a lot of energy on uprooting this decaying system and giving it a complete overhaul. PTI government created more unemployment that employment and more inflation. In addition, the economy is in shambles. @Faisal Khorasani, 100 million jobs so u want half of the population working. Do u really know the concept of employment and unemployment.name a single country where half of the population is working? Thanks are due to the Almighty that it is not a Billion jobs Tsunami like the earlier trees tsunami. and all this expected from a Govt running charity account ??? 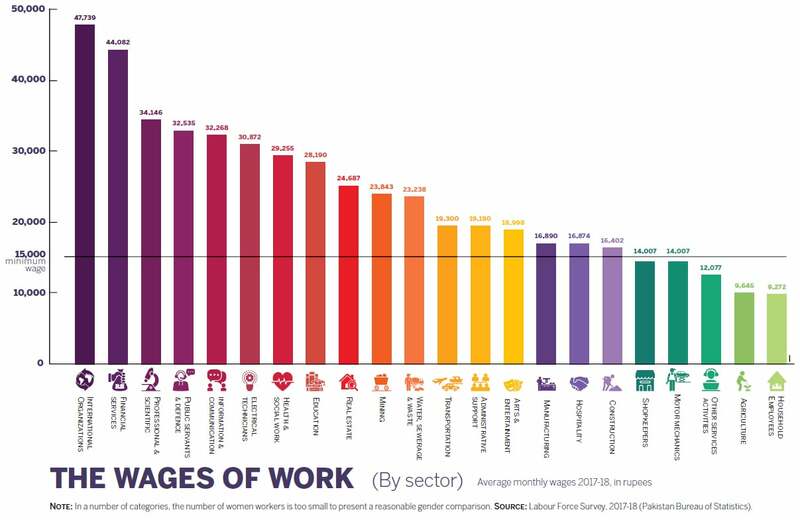 Overall good analysis, although I find it hard to agree with the men and women 'wage' argument, as it is obvious that men are more productive than women in most of the cases.So, such broad generalization seems faulty. Good article. Please consider my concerns: 1. HR's excuse is biased and disgusting. Of all the unemployed, its impossible that ALL of them have had bad education. HRs are amongst the most incompetent. Thus hiring becomes a behemoth task. 2. Gov jobs pay upto 90k now. Excuse of not being able to make jobs can be dimished using Greece's model - appoint on contracts for longer periods before making permanent. Hire 3 candidates for one job and divide the 90k salary at bs17 to 30k 30k. 3. End nepotism...re-test the individuals hired in the past 10 yrs...interdept exams made compulsory for promotions. An absolutely brilliant article. Right on the mark and do readable. Takes a dry topic and highlights how relevant it is. Only Prof Adil Najam can explain complex xtopics this clearly. Please, EOS, get him to write more. P.S. wish sone of commentators here had read beyond the headline. I guess it proves Prof Najam’s point about quality of efucation. Does government ever think about creating job training institutes that will provide the skills and training that private sector requires to grow and expand. How long will We survive exporting Unskilled labor to Mid East ? Every one does not have aptitude for N MBA. Is there a training institute to train Chefs in art of cooking? That may be the first step— more money being spent on eating out than ever before? 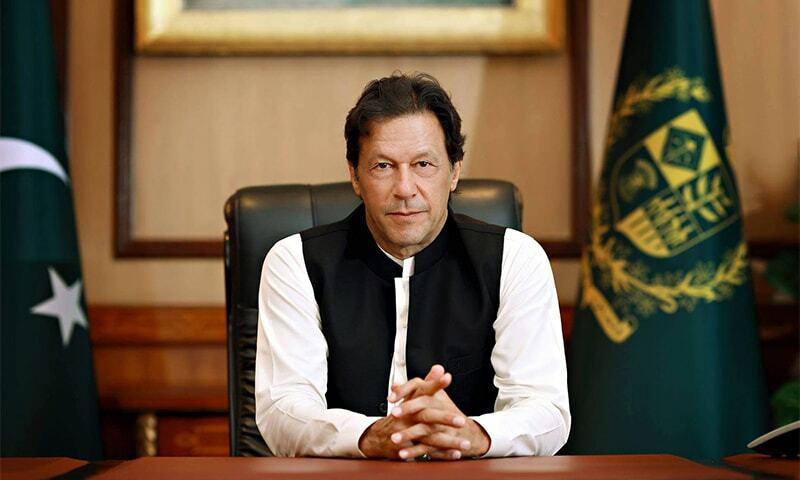 If ever exist a Noble Prize for best politician for the Century, will definitely go to Imran Khan. Politician's best dole, of creating 10 Million jobs and 5 Million homes. Condition shows, His zero time to start from the 5th Year, after surroundings well cleaned and himself well placed. Hallmark of a great politician. Excellent analysis. Hope the government is listening. The stats about women in wokplace are depressing. We really need to bridge this gap very very quickly. Hold on guys, all promises will be fulfilled in next 50 years depending on loans received. So, have patience. I don't know who have created these charts, the housemaid is not available for less than 6,000 Rs per month who works for couple of hours everyday. Moreover that same housemaid works for atleast 4 houses and which leads her salary up to 24,000 Rs per month. where on earth you people are living. Very powerful writing. Clear-headed and well written. I think most important point Dr. Najam makes is about government job is to create work. To create programs and policy from where good jobs will come. The example of the mobile phones industry is a very good one. I hope Dr. Najam is correct in believing that introduction of renewable energy can act similarly in creating quality jobs. Lack of adequate training system e.g. vocational training is a big problem in Pakistan. Moreover unlike other countries e.g. Bangladesh Pakistan is not addressing family planning problem. Economy can’t keep up with the population growth and absorb millions of job seekers every year. No other country could, look e.g. at Nigeria in spite of being the second oil producer in Africa it has one of the highest unemployment And poverty rate. Pakistan is facing with water stress and water footprint issue. Water contamination is a serious concern. Pakistan is facing energy issue with power outrages disrupting economy at all levels. Pakistan is facing bad air pollution that is causing health issue for all. PTI promised billion tree planting to address beautification and natural balance for air quality. Green Economy and creating Green Jobs initiative should be their main focus. Green Governance for Green Citizenship is needed. Green Economy is sustainable and helps country prosper by providing basic requirements as a progressive country. Employees are overburden.Two men jobs are done by one man.even if some laws are created to protect employee.New jobs can be created easily.